A Moose in the forest is depicted on each side of this lantern wall sconce handcrafted. This wildlife inspired Lantern Moose Sconce is finished in Antique Copper and has Amber art glass panels. Made in the USA. 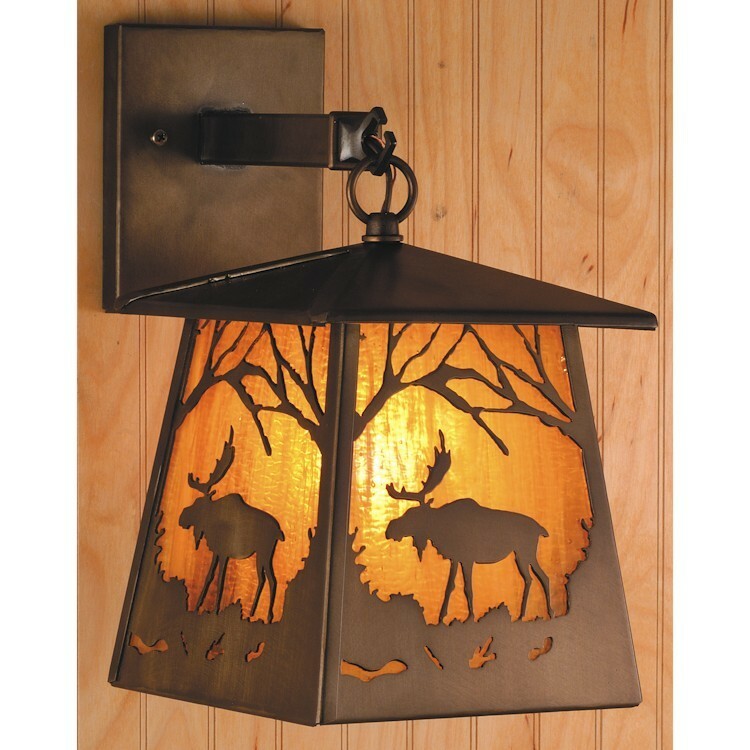 A Moose in the forest is depicted on each side of this lantern wall sconce handcrafted. This wildlife inspired Lantern Moose Sconce is finished in Antique Copper and has Amber art glass panels.